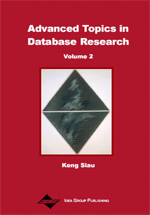 This chapter discusses how the capabilities of database languages are enhanced to manipulate user-defined data orderings within the framework of the Ordered Relational Model (the ORM), which incorporates partial orderings into data domains. The motivation for applying the ORM in data warehousing environment is that business queries in an enterprise usually involve order. We have already defined and implemented Ordered SQL (OSQL), which allows users to capture the underlying semantics of the ordering of the data for a given application. Herein we demonstrate that OSQL aided with a package discipline can be an effective means to manage the inter-related operations and the underlying data domains of a wide range of advanced applications that are vital in data warehousing, such as temporal, incomplete, and fuzzy information. We also discuss the employment of OSQL system with three packages of OSQL_TIME, OSQL_INCOMP, and OSQL_FUZZY over a Peer-to-Peer network. Using our suggested framework, the data content of a data warehouse can be better adapted in a dynamic environment.